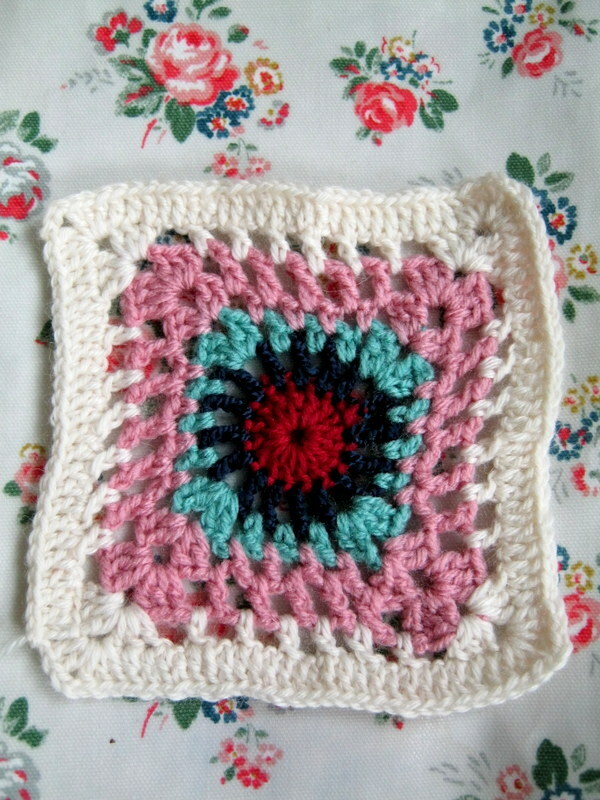 I know that 2012 is a very special year for a number of crochet fans. 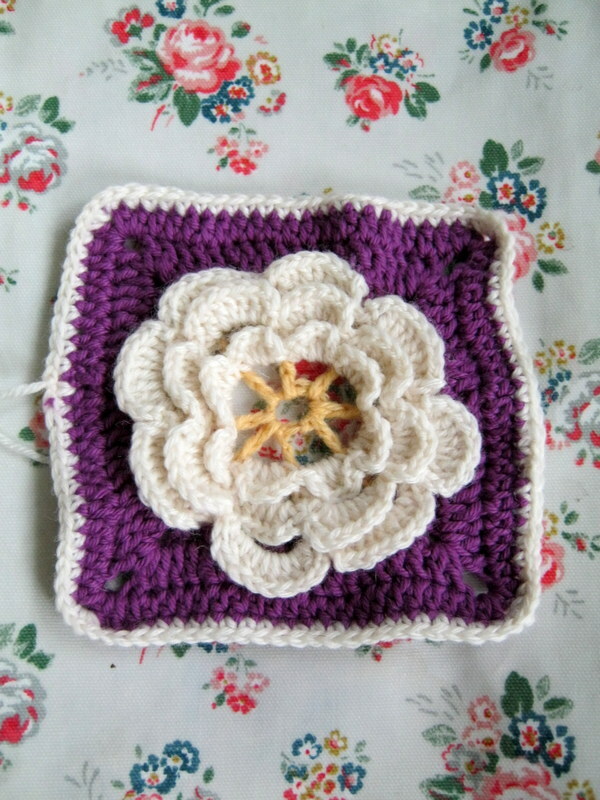 Many have joined together and taken up the challenge of crocheting a granny square a day. I have to admit that I don’t feel confident enough to commit to doing one every day but I have decided to join in for a month; for this month to be precise. Part of the reason I want to set myself this challenge is to learn new techniques, as well as to have fun with it (obviously). I kind of like the idea that I don’t know exactly where I’m going to go with the blanket or what it will look like at the end. 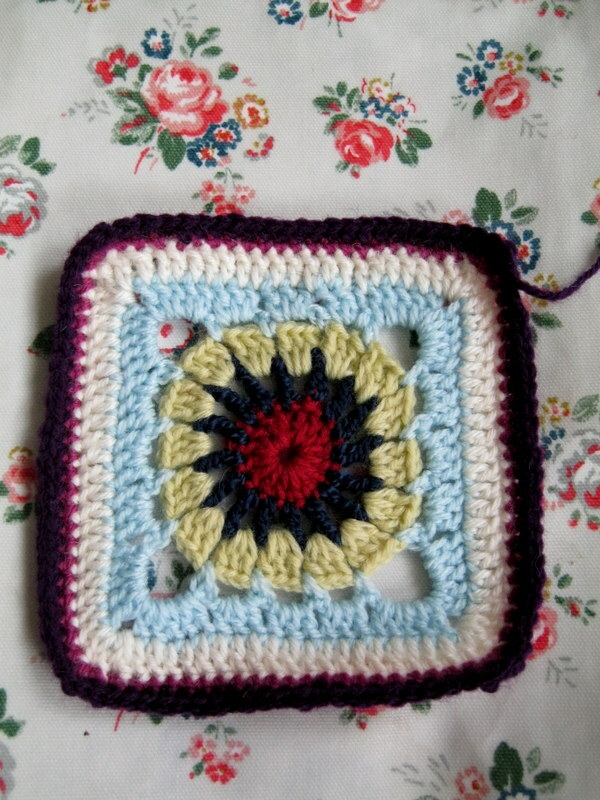 I’ll be doing one square a day (plus one extra to make up the blanket) and I’ll be taking them all from 220 crochet blocks by Jan Eaton. All of the squares, I be working twice as I learn by doing and repeating. Last week I had a lovely relaxing week in the middle Exmoor, Devon where I managed to start. Would you like to see how I’ve been getting on? Wednesday 4th July (it may look the same as Tuesday’s but I wanted to see how swapping the last two colours over effected the over all look). Thursday 5th July. It rained all week however we had a lovely time (Exmoor is stunning whether it’s raining or not). 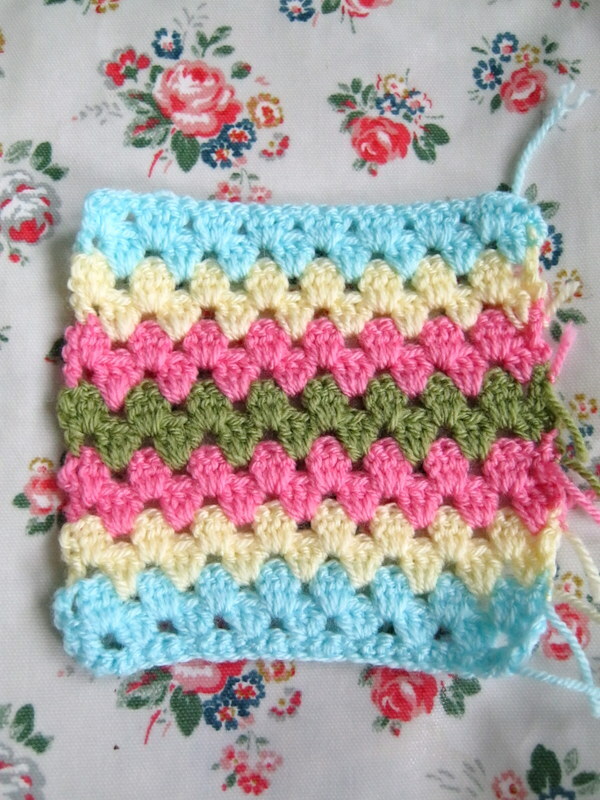 However for this square I wanted to use some colours that reminded me of being on holiday. 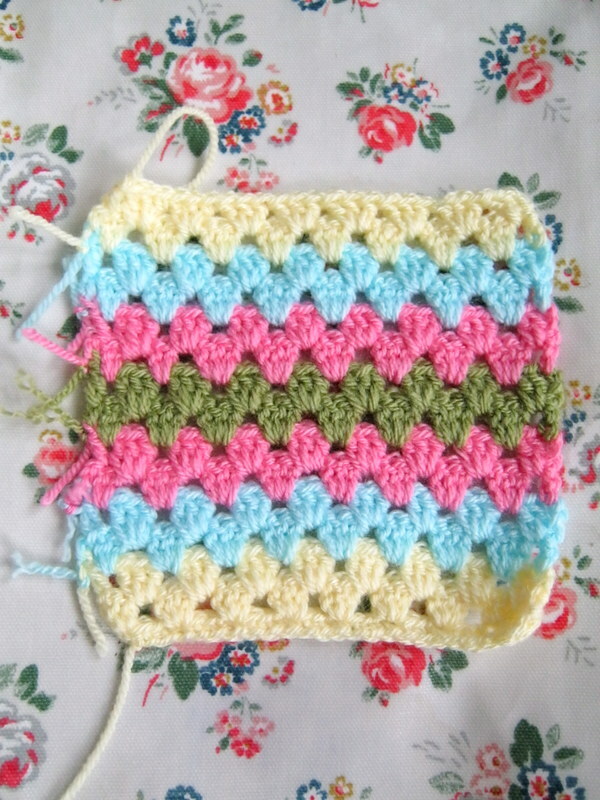 These colours make me think of all those sweets and pieces of rock that you get beside the seaside. Friday 6th July. I love yellow, it’s my favourite colour, so although I was very happy with the colours, I decided to swap the yellow and blue rows around. Saturday 7th July. 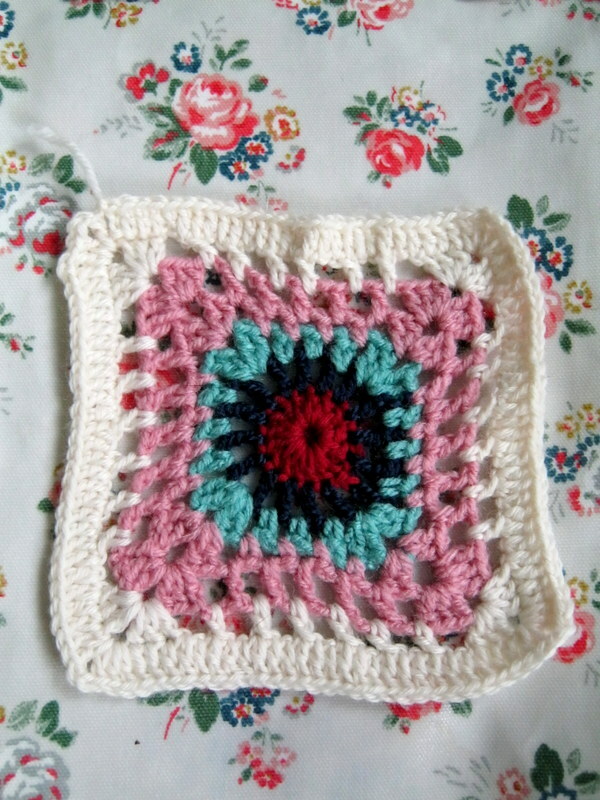 This block will look better when it’s joined to the others. I really like it but I think next time, I will do a pale blue rather than purple. I haven’t done it yet as it was quite time consuming, however I’m really pleased with it. 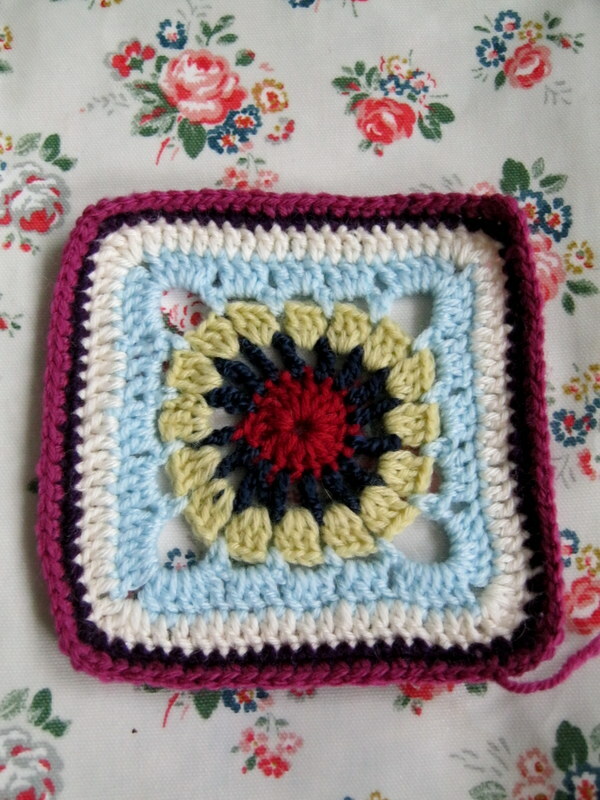 I’m going to upload a weeks worth of squares at a time, however if you want a sneaky peak of today’s square, I’ll be tweeting some of them. Thank you! It’s fun playing with different colours. I have no idea what it will look like at the end. I suppose I should have had a plan.